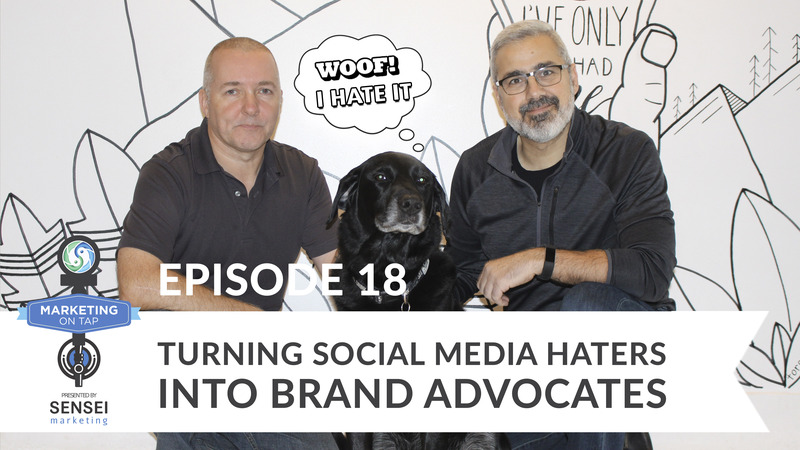 How do you turn social media haters into brand advocates? KFC did exactly that when they took a customer’s negative tweet about their fries and turned it into a win for the brand nationally. It’s a great example of brands that take social media haters at more than face value, and not only improve their services and products, but create brand advocates at the same time. 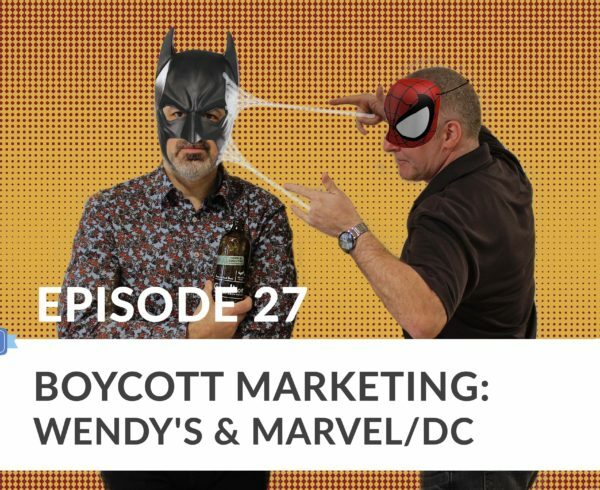 In this week’s episode of Marketing on Tap, we look at how KFC and others like them created this advocacy, and how you can take the lessons learned and apply to your business. Intro: Join marketers, authors, and craft beer enthusiasts, Sam Fiorella and Danny Brown, for a hoppy discussion on all things digital over a cheeky pint or two. Topics on the menu include influence marketing, social media, brand advocacy, and a taste-testing of real world digital marketing campaigns. Some are smooth, others don’t sit so well. Don’t forget to stick around for last call, where the boys will serve you up one final marketing takeaway that you can go out and apply in the real world. It’s a great primer before the weekend. 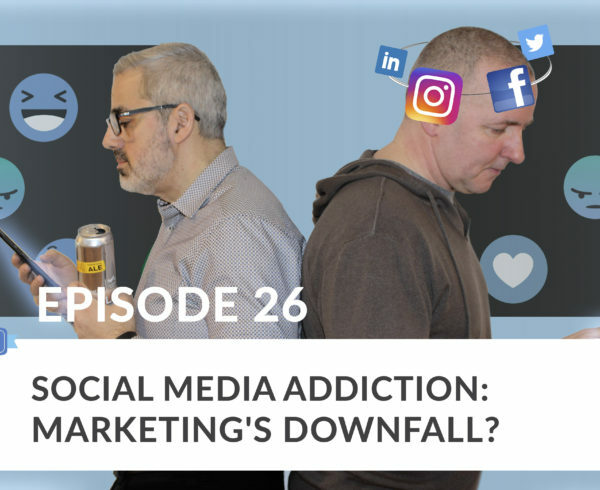 Sam Fiorella: Well, welcome back everybody to the latest version of “Marketing on Tap” podcast and blog. Sam Fiorella: My name is Sam Fiorella. This is my mate, Danny Brown. Today, as you can see we are on site. So, I’m going to tell you a little about where we are. But, first off, the introduction of the topic. Sam Fiorella: So, Danny, yesterday I saw an article on BBC … you’ve inspired me. I seem to be reading all my sports on BBC now and now my news all from BBC. I was reading BBC News yesterday, and I saw a KFC article that really piqued my interest. It was basically in the UK, they changed their chips recipe. Danny Brown: Fries for North Americans. Sam Fiorella: Fries for the few North Americans. Yeah, I spent two weeks in Scotland. Danny Brown: You know what chips are. Sam Fiorella: So I thought it was a really good example of how to use social media to turn the negative into positive, right? Something that we’ve alluded to in the past, but I think we could maybe get into a little bit more detail on. So that’s what we’re going to be talking about today … using social media’s negativity to your advantage. We’ll have a couple case studies. I’m sure we’ll come up with something. Sam Fiorella: But, as you can see from the background, it’s not our usual background, today we are at Black Lab Brewing in Toronto in Leslieville. It’s a brand new brewery and tap room. Danny Brown: Gorgeous tap room. Sam Fiorella: Isn’t it? Yeah, it’s fantastic. So, there’s no pouring of the beer because they’ve already done that for us here today. What are you drinking, Danny? Danny Brown: So, I got IPA … I’ve got their IPA. It’s a double dried hopped IPA … 6.5% AVB. Sam Fiorella: It’s a nice color. Danny Brown: Gorgeous orange color and the fruits coming through from that are amazing. I look forward to diving into that. Sam Fiorella: I’ll be the one driving apparently today. Cheers! Sam Fiorella: What I found about this one here, a little bit more on the lemon zest coming out of it. It’s not as hoppy nearly as that one there is. So, for those of you who don’t like an IPA and you’re in the neighborhood, try this one. It’s really good. Sam Fiorella: But, anyway, that’s not why … I mean, we’re here to enjoy the beer and make you feel guilty or jealous. It might be a wee bit jealous for not having beers, hopefully, you are having one. But, we want to talk about Twitter. So, one of the things Danny and I have said many, many times to our clients at all the conferences I speak at, is if you’re going to get involved in social media as a brand. You have to have the courage to do so. Sam Fiorella: You can’t be timid to get involved in social media. Number one, you know, people are going to say negative things about you. Frankly, even if you’re not involved in social media, people are going to say negative things about you. It’s the nature of the beast. Danny Brown: Like you’re against me all the time. Sam Fiorella: I can say it to your face … just stop giving me reasons to talk negatively about you. But, what people will do, of course … I think this is common, I use this line in my post-marketing class all the time. What happens when you go to a restaurant, and you’ve had a bad meal? The first thing you want to do is go to Yelp, go to Google reviews and leave them a negative comment. When you have an okay or a good experience, how desperate are you to get onto Yelp and make a positive review and give them a five-star rating? It doesn’t happen as often. Human nature, unfortunately, just has conditioned us. Maybe our Twitter has conditioned us, I don’t know which one is … chicken or the egg. This is what we do. So, how do you manage that? How do you leverage that? Sam Fiorella: … example. Why was that a good idea? Danny Brown: Well, you think KFC … it’s got the secret ingredient in it, no one talks about, for the last what? 40 years or so. Danny Brown: For a global company, like KFC, to take one British woman’s tweet and change a recipe like this … it’s pretty big. Sam Fiorella: I mean, let’s be honest, I doubt that that one woman’s tweet changed the recipe. In fact, that tweet was four years old. Sam Fiorella: I think probably what the agency was doing … let’s go back and take a look at … listen to social media, listen. They looked at it and there was, I’m sure, a consistent pattern of negative tweets. Sam Fiorella: Yeah. I think that’s probably why they chose ’em. Because, at least it’s also … they’re going to spend money to promote it, at least it’s talking positively about the chicken. Sam Fiorella: “… We are now going to change them”. I think that is a fantastic example of using negative comments online to not only improve your business, but to then use it as an advertising platform. Sam Fiorella: Because when you listen and you change your business, guess what happens? You’ve just now turned a detractor into your biggest advocate. Danny Brown: Oh, yeah, yeah. Sam Fiorella: … that same passion will exists if you give them the right customer service, right? Part of that is what? How do you find all these people online that are talking smack about you? Danny Brown: Yeah, I mean, it’s pretty easy because most people tag the brands. So, if you’re on Twitter or using a platform like Hootsuite or TweetDeck or whatever, you’ll be tagged, so you get a notification, too, of what’s set up. But from a brand protection point of view and reputation point of view, you need to have a web set up negative key words around your brand. Danny Brown: That you know people are speaking about. You’re Google searching negative terms and see what pops up and drop them in your social media feeds to see what people are saying and then… ‘Cause you don’t have to… nothing the brands get suckered into thinking half as much about everybody. It’s the ones that can make a difference for your business to actually respond to, and you don’t have to respond to 10,000 people. Respond to, say, 100 then it [inaudible 00:08:13] to the group. Danny Brown: Before and after, as well. Sam Fiorella: … to launch their improved fries, but some people are gonna say, “Well, what do I do? I don’t want to turn it into a campaign, but I do want to respond.” What’s the best way to respond to people talking negatively about you online? Danny Brown: It’s taking ownership. We see businesses all the time that operate it for social media. Sam Fiorella: You gotta have the courage to be in social media. Sam Fiorella: What happens when the client, or whoever is talking negatively about you, just can’t be satisfied? Danny Brown: Then I think at some stage you step back. People with clients sometimes will have to let clients go away. Any agency will have to let clients go because of satisfaction regardless of what you do. The same goes to social with brands, customers, consumers… someone’s never ever going to [inaudible 00:10:42]. At the end of the day, if they keep plugging away, they’re the guys who start to look foolish and churlish and the harassers. Danny Brown: It goes back in the public. Sam Fiorella: Yeah, so it goes back in the public. ‘Cause what happens is, what people forget is that these comments are all evergreen. This is evergreen content. A year from now, two years from now, five years from now, when somebody is searching up your business, do I want to do business with this person, yes or no? What are they gonna see? Sam Fiorella: They’re gonna find that when they do a search. So you’re gonna want to make sure that with that negative comment, you see that they dealt with it. Most people, what I’ve found, my experience in working customer service channels for clients, is that they don’t expect the business to be perfect. They know that stuff is gonna happen. It’s how you deal with those issues that will make somebody an advocate or a detractor. So as long as they say, “Yeah, they had some problems, but look, they called right away, they dealt with it,” there’s a confidence level that you have with that brand that if something does go wrong, you’re going to be there. You compare that to brands that don’t talk back or share anything. Sam Fiorella: Classic, with the little pillbox hat. They actually serve you beer and wine on the plane, even on a short flight. Little things. But one of the things that I really liked about it is in their lounge, and I think even some of the lounges in airports around the US, they will have these little coffee machines that we saw in Europe, where you can make yourself an espresso, a cappuccino, they have Starbucks coffee. Completely free. So when you go there, does it matter what ticket you have? If you’re first-class or not, or I think they call it premium and then regular? You get a lounge experience. You get your coffee, you get some little cookies. Anyway, they got rid of that, because at this airport now what they’ve done is they’ve expanded it and they’re now offering little coffee shops and sandwich shops. So people said, “I need a little bit more than just little coffee and cookies.” So they were listening, I guess. Danny Brown: Which is fine, yup. Sam Fiorella: Anyway, I got wind of this, and I tweeted about it when I saw that they were getting rid of the free coffee. I tweeted at them, and I said something to the effect of, “Capitalism wins, there goes my free coffee. So this is no longer my … I will fly with you because of convenience, but you’re no longer my brand of choice.” Just because they took away my espresso. Sam Fiorella: Right, well, an espresso is gonna be four bucks, but yeah. Still, I can go buy an espresso, in fact I can buy probably 20 variations of an espresso now at this brand-new cool coffee shop that they’ve got. But that’s not the point. I don’t care about spending the four bucks. I do it every day anyway at the Starbucks across, or at Pilot Coffee in Union Station. The point, though, is that it was… I felt special. So I tweeted at them, and then they responded. The way they responded to me was to justify their decision. They actually sent me three tweets talking about how much more value I was going to get, how much better the experience was gonna be, and that cookies were still gonna be there. They basically made me feel stupid. Hold on, it isn’t because I don’t want to spend the money, and I understand your rationale, but it doesn’t change my perspective. That something as simple as that, you made me feel special. You are now like every other airline, you’re no longer … that one little thing. Danny Brown: That goes back to your point of, the conversation started happening on Twitter. Just do a simple search, and you can see if people reacted to that. Sam Fiorella: Yeah, and I did look and all kinds of people were complaining about it. So the way that, if I was their agency, what I would probably have said is, “These are the kinds of guys that you need to bring in.” If you can’t resolve the problem and you see that there’s no way that … no matter what they said to me I was not going to be happy. But I’m more upset now that they tried to justify their decision instead of trying to make it seem like they really listened to me, they heard my issue. Sam Fiorella: I would’ve done something differently. I would’ve probably said, “Let’s find all the people that are really upset about this lost coffee. Let’s bring them in, let’s maybe turn them into a user advisory group.” Let’s say this: “Would you mind sitting with us once a year, once every six months? We want your feedback.” That in and of itself, something as simple as that, not only would they have gotten free market research, they would’ve turned me back into a brand advocate as opposed to a brand detractor. Sam Fiorella: Now, of course, airlines probably don’t care because like I said, they’re convenient and you’re gonna fly them anyway. Danny Brown: You’re not gonna drive to Egypt. Sam Fiorella: Exactly. I’m just trying to keep an eye on time here. We’ve got maybe time for one more example. Who else is out there? Danny Brown: I thought Domino’s Pizza. Sam Fiorella: Oh, yeah. What about Domino’s? Sam Fiorella: I remember those. Danny Brown: “-I don’t like eating the pizza” and everything. And now, seven years later, last year they shared two companies that went public at the same time. Google, and Domino’s Pizza. And guess which one has got the highest share price and the highest growth price on it? Danny Brown: Domino’s Pizza. Because the CEO stood up, took all the detractors, admitted and took ownership. Compared to, say, Papa John’s or whoever was making pizza at the time, we know we have to improve so they did. They’ve got some real cool stuff. They delivered pizza by a drone in New Zealand this year. The first pizza company to deliver pizza by a drone. So they’re thinking ahead as well. Sam Fiorella: “I’m not going to make an excuse for why we took away your coffee. What I am gonna say is we are taking ownership over this and we are going to do something about it.” Again, going back to the issue of, if you’re gonna get involved in social media, you better have the courage to deal with it. And it’s not just the courage to respond to somebody, it’s the courage to listen and take action. These are your customers. Learn what they’re saying, don’t ignore it, use it to fuel innovation. Deconstruct your company based on what these guys are saying. Build something even stronger. So that’s a great example. Sam Fiorella: Union Guesthouse. Is that the one? Danny Brown: Union Guesthouse, yeah. Sam Fiorella: They responded the wrong way, and they way they responded to people posting negative comments about their guesthouse is, they went on Yelp and they said that, “We are going to invoice every person who leaves a negative comment on Yelp $500 against their credit card that’s on file for leaving a negative comment.” So you could obviously imagine the backlash. People were leaving negative comments all over the place, on Twitter, on Facebook, on Yelp, all over the place, because they only said Yelp, they didn’t say on Twitter or Facebook. So they just got this massive backlash. Of course, they took it down and then they posted, “Ha ha, we were just kidding, we didn’t really mean it.” The brand damage was done. Danny Brown: How could you pay out all these one-star reviews? Sam Fiorella: Yeah, exactly. So we’re getting the signal for our last call. Takeaway. What’s the one takeaway that we want to leave everybody, Danny? Danny Brown: For me it’s ownership. We talk about ownership all the time, and it’s realizing you messed up and thinking how do you fix it, and actually seeing through what you’re actually gonna say you’re going to do. That’s, for me, the biggest part. Sam Fiorella: That is a very valuable point. The ownership, not hiding behind it. For me, it’s not making excuses. Dealing with it head-on. Acknowledge if it’s something that you have no choice but to change, or you have no choice but to provide some type of service that you know is going to piss some people off because maybe it’s for economics, geography, whatever the reason is. There’s something that makes you do what you do, but then those people who you know you are not going to be able to satisfy, then find another way to engage those people. Sam Fiorella: In my Porter example, I would’ve brought all of those detractors that couldn’t be happy, bring them into a focus group. That would’ve completely changed the tone and relationships with the brand. So find another way to keep those people happy, but just don’t ignore them. Sam Fiorella: So that’s it for today, our time is up. Thank you, everybody. I wanna thank the guys at Black Lab Brewery and a buddy, Bill Smith, for introducing me and Danny to this place. Awesome. In Leslieville, here in Toronto. Thank you for hosting us, and thank you for the beers. We promise not to have too much before we have to go back to work. 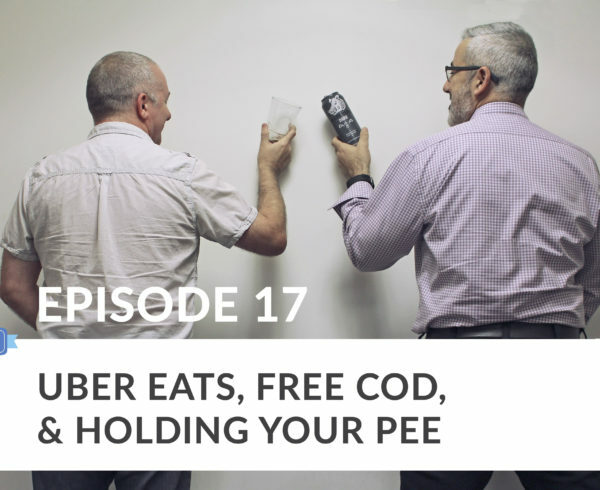 If you like this podcast … what do they do? Danny Brown: They hit the subscribe option on their preferred platform. Danny Brown: Spotify’s always good, but I play with Google Play. Sam Fiorella: Yeah, I’m not an Apple fan, so don’t go to iTunes, go to Spotify. Of course, if you have any recommendations or if you want us to focus on a particular issue … Lately we’ve been getting a couple of comments from people, “Hey, I’d like to know your thoughts on this.” Please post them in the comments as well and we’ll add that to one of the topics we’re gonna be talking about soon. Sam Fiorella: That’s it, guys! Cheers until next time.